Are you dreaming of becoming your own boss? If so, you have three options: 1) start a business from scratch, 2) buy an existing business, or 3) buy a franchise. But if you’re like most aspiring entrepreneurs, you may not have experience running a business, or you may want as little risk as possible. This is where the third option, buying a franchise, becomes more attractive. 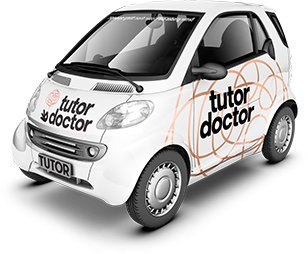 Franchises, like Tutor Doctor, offer a tremendous amount of support for franchisees, even if they are brand-new to the world of business. What sets franchising apart? Franchise organizations provide the education, training, and tools necessary for franchisees to establish their franchise and hit the ground running. Franchising is an arrangement where a franchisor grants another party (called the franchisee) the right to use its brand name, systems and processes. We’ve seen this popular model for decades with hamburger chains and convenient store franchises, but the concept expanded widely in the 20th Century to include all kinds of businesses, including home tutoring businesses, such as Tutor Doctor. The franchisee pays an initial fee to the franchisor, and from there the franchisee pays ongoing royalties. In exchange, the franchisee gains the right to use the franchisor’s well-known brand name, and all of its proven systems and processes, including its latest developments in the franchise model. Not only that, but the franchisee enjoys continued guidance and support from the franchisor. Every entrepreneur has heard about the risks involved in starting a new business. For those who are risk-adverse, who don’t have experience running a business, and who like the idea of stepping into a well-oiled machine, a franchise may be the ideal fit. Instead of facing all the unknowns associated with a startup, franchisees are guided through a proven system of operations and are deliberately trained to use it effectively. Franchisees get to avoid making a lot of the common mistakes made by new business owners because the franchisor has already made them and, as a result of trial and error, has perfected the daily operations. Yes and no. With the franchise model, franchisees work independently in their businesses, but they’re not alone. The franchise model gives franchisees the freedom to grow, but they do it under a common brand and with the benefits of a larger group of fellow franchisees. Though each franchise is independently owned and operated, franchisees share and collaborate with the franchise organization, and with each other. Essentially, franchisees share their insight and best practices with the franchisor supporting and overseeing their efforts. The goal is to cultivate a positive environment that is ripe for success. What are the advantages of franchising? Franchisees enjoy the benefits of small business ownership, such as independence, but they get the support of a large business network. People don’t necessarily need any experience running a business to buy a franchise. What they do need though is the willingness to learn! Compared to startups, franchises have a higher rate of success. It can be easier for people to find financing for a franchise because banks consider them to be less risky than startups. It can cost less to buy a franchise than it does to buy a similar existing business. Unlike buying a business, once the franchise is purchased, the franchisees receive ongoing support the entire time they own their franchise. When someone buys a franchise, they automatically enjoy the benefits of an established brand, access to regional or national advertising, and proven systems and processes for every aspect of the business. We hope this list of FAQs helped you better understand how franchising works. If you’re interested in learning more about the Tutor Doctor in-home tutoring franchise opportunity, we invite you to contact us today!